Segregation remains an intractable force in American life, more than 60 years after the Supreme Court’s Brown v. Board of Education ruling outlawed racial separation in America’s schools. The Government Accountability Office recently estimated that more than 20 million students of color attend public schools that are racially or socioeconomically isolated. This figure has increased in recent decades, despite a raft of federal and state initiatives. Major cities like New York and Chicago struggle with high levels of residential segregation, especially at the neighborhood level. The entrenched correlation between race and poverty is partly to blame, but segregation catches even affluent people of color. A recent study found that, while only 9 percent of white Americans earning $100,000 or more lived in poor areas, 37 percent of African-Americans on the same income level lived in poorer neighborhoods. 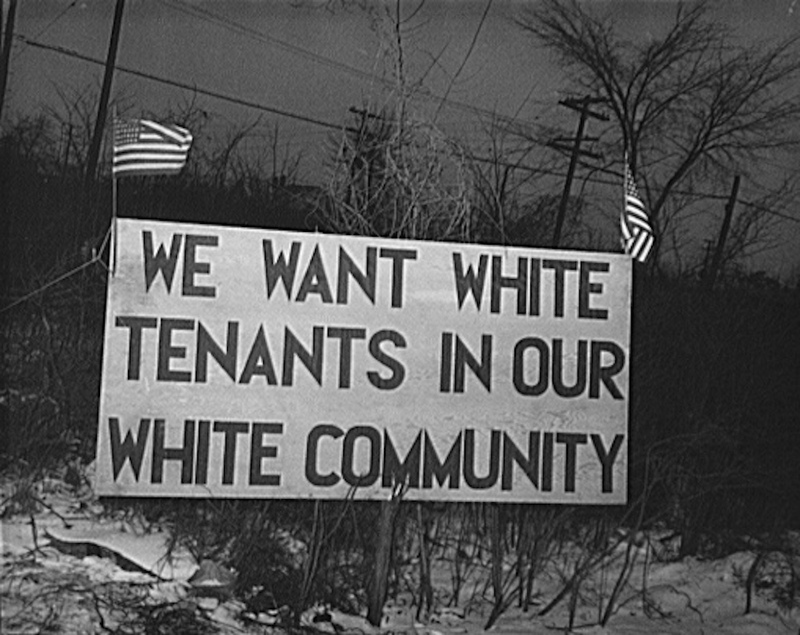 If we want to understand why racial segregation still exists in America, we should start by understanding its origins. The most widely accepted account puts the blame for creating segregation on white Southerners. According to this version, defeated Confederates regrouped after the Civil War to prevent the federal government from making African-Americans equal citizens. If slavery could no longer be sustained, racist Southerners would use other weapons to intimidate and disenfranchise their black neighbors. By the 1880s, Southern whites had created the Jim Crow system, which enforced racial segregation throughout the South. Only with the advent of the civil rights movement would African-Americans succeed in dismantling this system of local oppression—with the help of Northern supporters and, crucially, a newly engaged federal government under President Lyndon B. Johnson. This account creates two false narratives: it presents institutionalized segregation as a Southern-only problem, and it sets American history on an upward trajectory from oppression to freedom. We miss the national roots of America’s segregation problem because we assume that the battle over slavery predated the fight for black citizenship, and that segregation struggles were a re-run of North versus South. On the contrary, the obstacles to integration in America were an offshoot of the nation’s revolutionary ideology as well as its long history of racial exploitation. In 1776, the Founders declared that “all men are created equal.” While Thomas Jefferson and John Adams weren’t thinking about people of color when they made this bold claim, blacks and Indians, encouraged by white missionaries and social reformers, insisted that slavery and oppression were incompatible with the nation’s new creed. The Founding Fathers struggled to deny these claims. 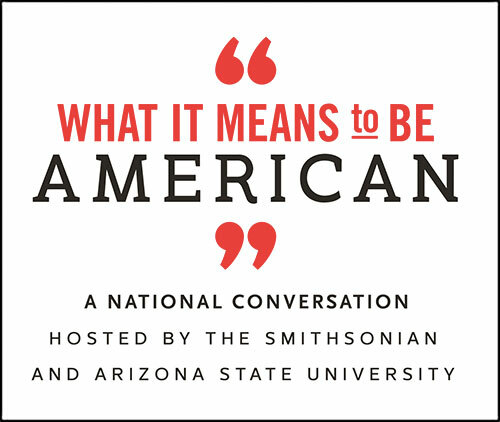 After 1789, officials of the new federal government believed that they could expand westward in partnership with Native people, rather than through terror and conquest. The first secretary of defense (or secretary of war, as he was known back then) was Henry Knox, a general in the Revolutionary War who’d been a bookseller before he became a soldier and politician. It was “more convenient than just” to assume that Indians could not be “civilized,” Knox told Washington in 1791. The United States could pay Native people for their “surplus” land, plant white settlers alongside them, and erase the distinction between the races. In the case of both blacks and Indians, then, the early United States witnessed what we might call an integration moment after the Revolution. The Founders, along with a host of clergymen, politicians, newspaper editors, and moral reformers, grappled with the prospect of a multi-racial republic under the banner of “all men are created equal.” At the 18th century’s end, the prevailing thinking in science and religion held that human beings were a single species, and that “race” was a product of environment rather than biology. But the work of promoting integration quickly ran aground. In the first place, these liberal whites—men and women who paid lip service to human equality—couldn’t quite escape their own prejudices. 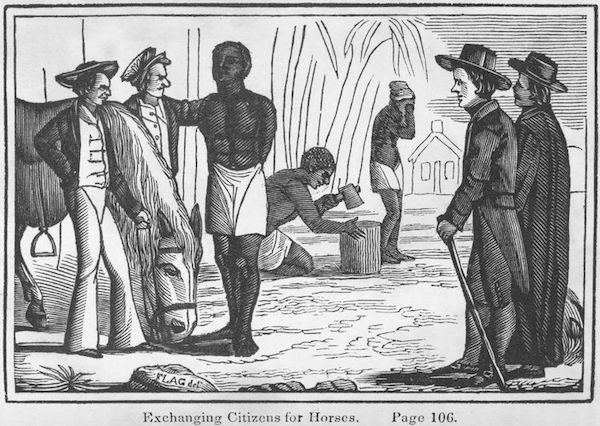 African-Americans had been “degraded” by slavery, insisted white reformers, and would need to be made fit for citizenship before they could be safely emancipated. 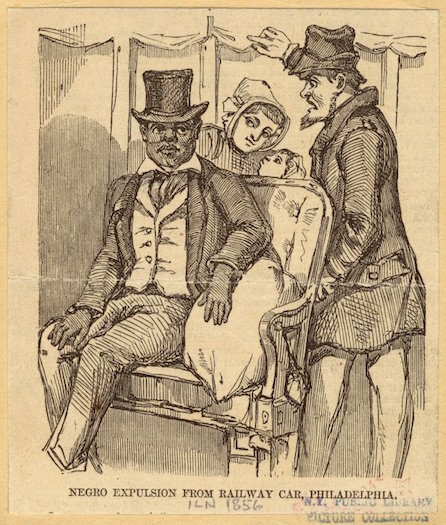 While this emphasis on black “degradation” drew attention to the need for material and educational support to African-Americans, it also created a dangerous stereotype—reinforcing the view among white “moderates” that black freedom might produce “convulsions” (as Thomas Jefferson put it) that would “end but in the extermination of the one or the other race.” The language of degradation offered a problem rather than a solution. If African Americans needed schooling and support to make the transition to freedom and equality, would they receive this from federal, state, or city government? From charities? From their former enslavers? While liberal whites argued over how best to overcome degradation, many white Americans concluded that abolition would be more difficult than they had initially imagined. Racial oppression, whether rooted in slavery or the theft of Indian land, [has] always been driven by white economic gain. The first integration moment in American history was also undone by the chauvinism of even the most forward-thinking white Americans. For government officials like Henry Knox, or educators like Princeton president Samuel Stanhope Smith, people of color had the potential to be equal to whites if they changed their culture and behavior—or even their appearance. Smith, the most influential race theorist of his day, insisted that blacks and Indians would literally come to resemble Europeans—losing their “African peculiarities”—as they gained freedom or “civilization.” When people of color failed to somehow “turn white,” or to abandon their assumptions and ways of life, liberal whites reacted with exasperation and disdain. It soon became apparent that the realization of “all men are created equal” required more than an abstract recognition of black or Native humanity; it required the surrender of what we now call white privilege. When even the most liberal whites struggled to meet this challenge, they developed an alternative plan that might deliver the United States from the guilt of slavery and oppression without obliging white people to live alongside people of color: perhaps blacks and Indians could be persuaded to move elsewhere. As antislavery initiatives in the South stalled on the question of integration, and Native Americans went to war with white settlers in the Midwest, an influential group of politicians, philanthropists, and reformers proposed the same solution for both problems. Native Americans would be moved beyond the Mississippi, where they could be “civilized” by the federal government without the immediate pressure of the settlers who were rushing into Ohio, Indiana, and Illinois. African-Americans, meanwhile, could be freed from slavery on condition that they agree to leave the United States for a land of their own: in the far West, perhaps, or in the Caribbean or Africa. At precisely the same moment in American history— the first 30 years of the 19th century—many of the most influential figures in the United States proposed segregation as a solution to the nation’s first racial crisis. The idea that Native people could be colonized in the West was endorsed by Presidents James Monroe and John Quincy Adams before it was taken up by Andrew Jackson, whose determination to force Native people to leave the Southeast culminated in the notorious Cherokee Trail of Tears in 1838-39. This appalling outcome, though, was merely the final stage in a process of promoting racial separation that had begun with Northern missionaries and politicians. Similarly, the proposal that African-Americans be colonized outside the United States was warmly accepted by white politicians and reformers from North Carolina to Massachusetts. If slavery had become mostly a Southern institution by the 1820s, segregation appealed to whites across the nation. It was no surprise that Abraham Lincoln’s Republican Party endorsed black colonization in the 1850s, or that Lincoln affirmed his commitment to a black exodus from the United States during the first 18 months of the Civil War. What separated Lincoln from Jackson was that the former had neither the means nor the inclination to compel black people to leave the United States. Through their vast numbers and their usefulness to the Union war effort, African-Americans managed to reject the future that had long been marked out for them by “liberal” whites. By 1863, the Lincoln administration had largely abandoned the notion that black people would agree to live somewhere else after emancipation. But white Americans had been assured by politicians for half a century that slavery would end in racial separation rather than coexistence. The logic of segregation wasn’t the offshoot of the Civil War, nor was it the preserve of Southerners who had fought to the death to maintain slavery. America’s integration problem may have looked Southern and reactionary at the end of the 19th century, but it began as a national—and liberal—predicament. The Founding generation spoke about racial integration in ways that may seem disconcertingly familiar to us. White reformers frequently insisted on racial equality or potential, while finding ways to postpone or derail forms of integration that required the surrender of prejudice and advantage. By acknowledging this forgotten history of segregation, we’re in a better position to interrogate our own boasts about racial “progress”—and to see that, in the long American conversation about race, moral evasion has always been a central theme. Nicholas Guyatt teaches American history at the University of Cambridge in England. He is the author of Bind Us Apart: How Enlightened Americans Invented Racial Segregation (Basic Books). *Lead photo by Arthur A. Siegel/Library of Congress. First interior image courtesy of New York Public Library. Second interior image courtesy of New York Public Library.